Lifelike! A three-dimensional, life-sized diorama of the world's first service station (we think), which was built in Seattle in 1907. "What has and has not been documented by photography in the history of our state is a pursuit unto itself," Michelle Dunn Marsh writes in the label that hangs on the wall next to the photograph above, at the Photo Center Northwest. It's a picture of a family in San Francisco checking out a diorama at Standard Oil's San Francisco headquarters—a diorama that depicted Seattle's first service station, which some say was actually the first gas station in the world. HistoryLink has the details on the station, and Vintage Seattle had a post about it in 2009 with several good links to old photographs, plus a description of where today you can still find a plaque at the waterfront at Terminal 30 put up by Standard in 1947 that boasts, "Site of the WORLD'S FIRST SERVICE STATION." Dunn Marsh found the photo while digging through the Washington State Library archives in search of images that tell stories about Washington's history through photography. It wasn't intended as fine art, but at the Photo Center it hangs alongside prints by photographers ranging from Carrie Mae Weems, the only visual artist to win a MacArthur this year, to legendary rock photographer Jini Dellacio, to longtime New Yorker and Village Voice photographer Sylvia Plachy, to video artist Susie J. Lee, to documentarian-of-all-562-federally-recognized-tribes Matika Wilbur, to Seattle-based former White House photographer Barbara Kinney, to art-photo stars Imogen Cunningham, Alice Wheeler, Steve Davis, Eirik Johnson, and Ella McBride. Most but not all the photographers live/d in Washington. All the images have a strong Washington connection of some kind, though—Boeing, studio glass, Merce Cunningham and John Cage meeting at Cornish, Quincy Jones. 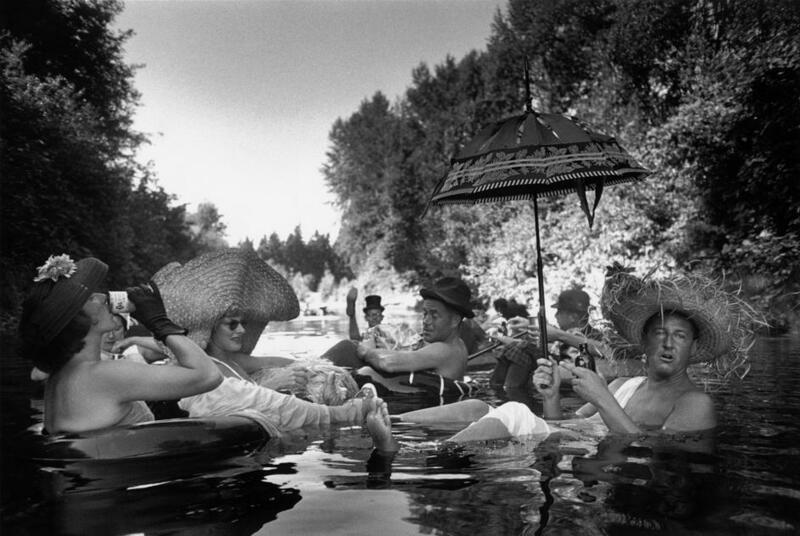 This is the story of photography in Washington—not just one strain, but photography's many, many strains. It's a fascinating show full of the unexpected, and a compelling and creative way to ask for money while also providing a service, the service of telling an important tale in a way that only a regional photo center can. All the works will be up for auction at the Photo Center's annual gala on October 18, but hey, not everybody can afford a ticket to that, so Dunn Marsh didn't just assemble the pieces for one night only, she put them up in an exhibition open to the public, for free, every day. 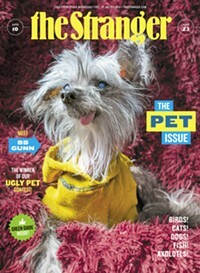 It's her first big act since taking the job as Photo Center director, and it's full of good stories and good ideas. Makes you want to know more about her, frankly. You can do that in a series of lectures she's giving all fall. David Belisle, R.E.M. Vote For Change Tour, 2004. 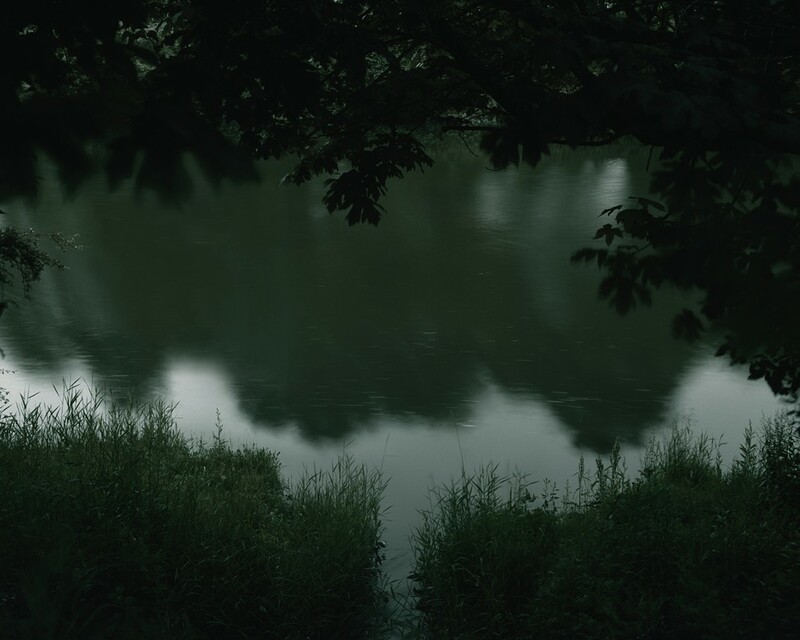 Canh Nguyen, River at Dusk, 2013. Burt Glinn, Members of the Seattle Tubing Society, Seattle, WA, 1953. 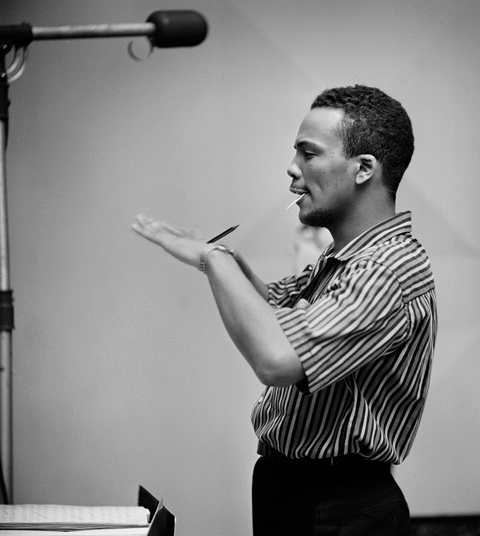 Herman Leonard, Quincy Jones, New York City, 1955. 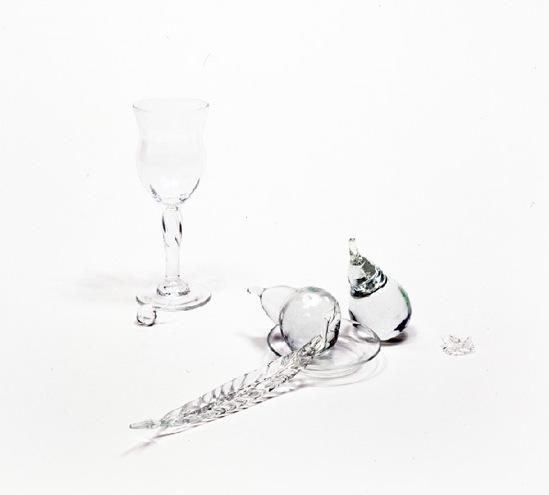 Beth Lipman, Still Life with Goblet, Cherry, Pears, and Feather, 2007. 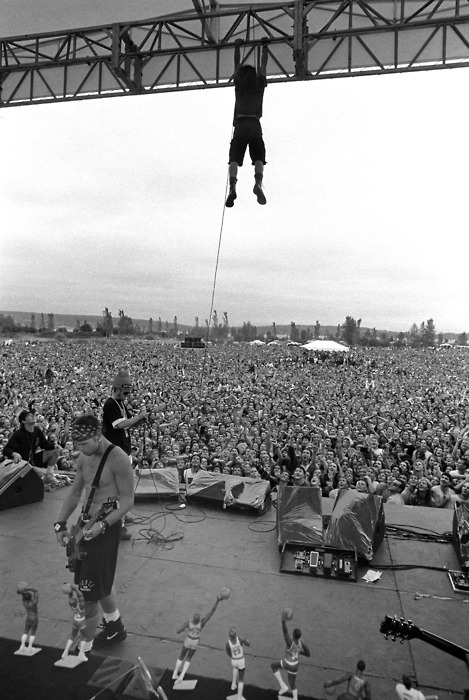 Lance Mercer, Pearl Jam, Drop in the Park, Magnuson Park, Seattle, WA, 1992.